The 2008 sample group was created by selecting a sample of 12,000 students who were awarded a Baccalaureat in 2008 and had studied at a state or private education institution in mainland France, excluding the Ministry of Agriculture, Agrifood, and Forestry (MAAF), in the 2007-2008 academic year. The sample was based on the following criteria: type of Baccalaureat, age, grade awarded and gender. These students were asked to provide information about their circumstances at 31 October every year, regardless of what course they were enrolled on, and their academic progress, until they stated that they were no longer studying for two consecutive years. The seventh survey year questions only those sample students still studying in the sixth year after the baccalauréat on the qualifications they have achieved at the end of the sixth year after the baccalauréat. Information on continued studies in the seventh year is also compiled, but not the precise course. In the short higher education programmes, most baccalauréat holders starting in 2008 no longer pursued their studies at the beginning of the seventh year after sitting the bac (96% in BTS and 88% in DUT). There is a high proportion of higher qualifications at Bac + 2: 28% in STS programmes and 70% in DUT. Conversely, four out of ten students entered in CPGE continued with their studies and two thirds had achieved a qualification at level Bac + 5. In the STS programme, 73% of 2008 baccalauréat holders hold a higher education qualification (chart 18.01). Although 45% only achieved a level Bac + 2 qualification, many students continued with their studies after the BTS and obtained another qualification: 19% of baccalauréat holders hold a Bac + 3 qualification (including 11% with a vocational Bachelor degree) and 9% a Bac + 5 qualification. Obtaining a qualification and the breakdown per level depend hugely on the type of baccalauréat: 92% of general baccalauréat holders hold a higher education qualification compared with 77% of technological and 52% of vocational baccalauréat holders. The highest qualification obtained is mainly level Bac +2 regardless of the type of baccalauréat (between 40 and 49%). However, general baccalauréat holders are more often BTS graduates and have continued with their studies: 31% therefore hold a Bac + 3 qualification and 16% Bac + 5. These proportions are only 8% and 4% for vocational baccalauréat holders, with the technological baccalauréat holders falling somewhere in between. A mere 4% of baccalauréat holders continue with their studies in the seventh year after starting the STS programme: the share of level Bac + 5 qualifications is likely to grow only very slightly. Among baccalauréat holders preparing for University technology diplomas (DUT) in 2008, the proportion of higher education diplomas after six years is very high: 92% (chart 18.02). As it is very common for DUT students to continue with their studies (about 85%), the proportion of graduates at level Bac +5 is also high: 39%. Technological baccalauréat holders are almost as likely as general baccalauréat holders to achieve a higher education qualification (88% compared with 95%), but the breakdown based on the highest qualification achieved is very different. The proportion of level Bac + 5 graduates is 46% for general baccalauréat holders, but a mere 18% only obtained a level Bac + 2 qualification. These proportions are 24% and 31% respectively for the technological baccalauréat holders. The proportion of level Bac + 5 graduates can rise again significantly, with 13% of baccalauréat holders still pursuing their studies in the seventh year after the baccalauréat. At the start of the seventh year following the baccalauréat, 81% of baccalauréat holders entered in CPGE in 2008 achieved a higher education qualification (table 18.03). Two thirds have obtained a level Bac + 5 qualification: in decreasing order, these are engineering degrees (31%), business school qualifications (17%) and Master's (12%). This breakdown reflects that of entrants into the various types of CPGE after the baccalauréat, in the knowledge that students in literary courses are more likely to attend university given the lack of sufficient opportunities in schools matching their trajectory. However, in 15% of cases, the highest qualification achieved is at a level lower than Bac + 5, with mainly level Bac + 3 graduates (12%). Nearly two in ten baccalauréat holders have still not achieved a higher education qualification at the start of the seventh year. However, only 8% of baccalauréat holders in total have left without a qualification. Nearly four of ten baccalauréat holders (38%) are still studying. 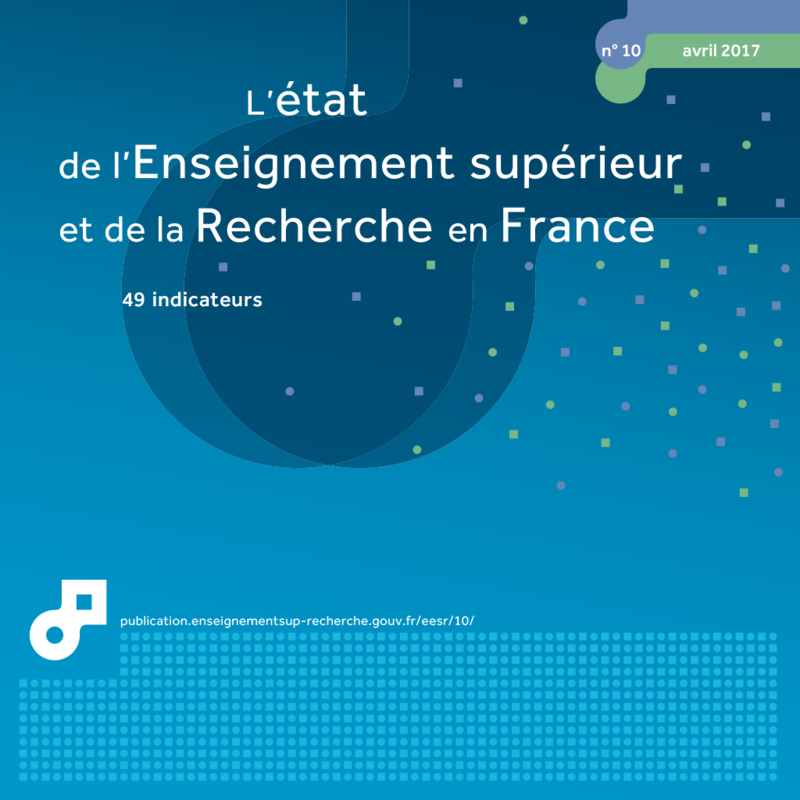 75% of these students are enrolled in a course covering four or five post-baccalauréat studies: the proportion of Bac + 5 graduates is therefore likely to rise. 1 including vocational bac holders (non significative results).